A big thanks to Target for sponsoring this post! Now that the holidays are over and the post-holiday lull and cold weather has set in, I find it hard to be motivated not to wear sweats every day. But it’s a new year, with new goals! One of those goals is to get ready every day, even if half my day is spent at home chasing after Sutton and cleaning up sweet potatoes on the wall. I don’t have to get really dressed up; however, I don’t want to be in sweats all day, so finding a balance between style and comfort is ideal for me. Target has always been my go-to place for casual leisure wear. They always have the cutest, most affordable styles. Can I be honest and tell you that I got these black leggings from Target three years ago? They are one of my favorites! I can pair them with a cute cowl-neck sweatshirt or cozy cardigan and tall boots or sneakers and look cute yet still comfy. I wanted to share a couple other outfits for lounging and activewear for weekend wear or after 5. 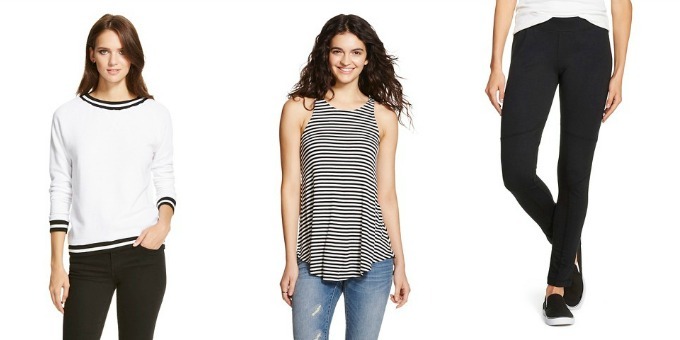 Tell me: Have you found any cute loungewear you can’t live without from Target? If so, do share! The picture in the post and the shirt in the link are not the same from what I can tell. Were you able to figure out where the exact cowl sweater is from? I love it but it isn't the target one! I was thinking the same thing.. Can you link the exact crowl sweater? Yes! Please list where the cowl sweater youre wearing are from! So cute! omg! that cowl sweater!! i have been looking for one similar! Awesome! I just love your look only because of your sweater, cute Coloured boots and designer black side hand purse.